Chaumont – Home rule must prevail over “a disturbing trend” in state government to remove powers from local jurisdictions under Article X of the 2011 Power NY Act, according to Lyme town officials. Joining several other towns, Lyme recently sent its official statement to the state Public Service Commission asking it to reinstate local control over the siting of energy development projects, such as industrial wind farms. The commission’s public comment period for Article X amendments had ended May 29, but municipalities were given until today to submit theirs. Lyme at one point had considered endorsing a letter drafted by environmental attorney Gary A. Abraham, who called for tougher noise restrictions for wind turbines, among other things, but the Town Council ultimately decided to draft its own statement – most likely to avoid controversy. 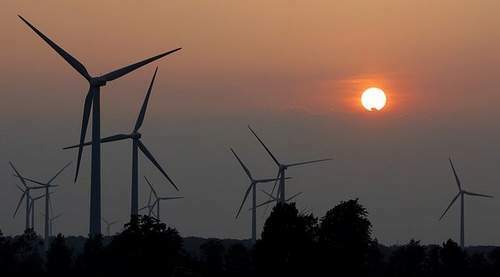 Local supporters of wind farms have accused Mr. Abraham, Allegany, of lobbying for anti-wind groups because of his past associations with the Wind Power Ethics Group, Cape Vincent, and the Environmentally Concerned Citizens Organization, Clayton.